Up and out of the house early this morning, making an early beer seem much later. Sunny day, 2 Crows on the patio. A few weeks ago I posted: “Watch out Ontario and Alberta, and maybe even the U.S.” I wasn’t exaggerating. 1) Too much head on the NE IPA. Every. Freakin’. Time. I’ve had better east coast IPAs. 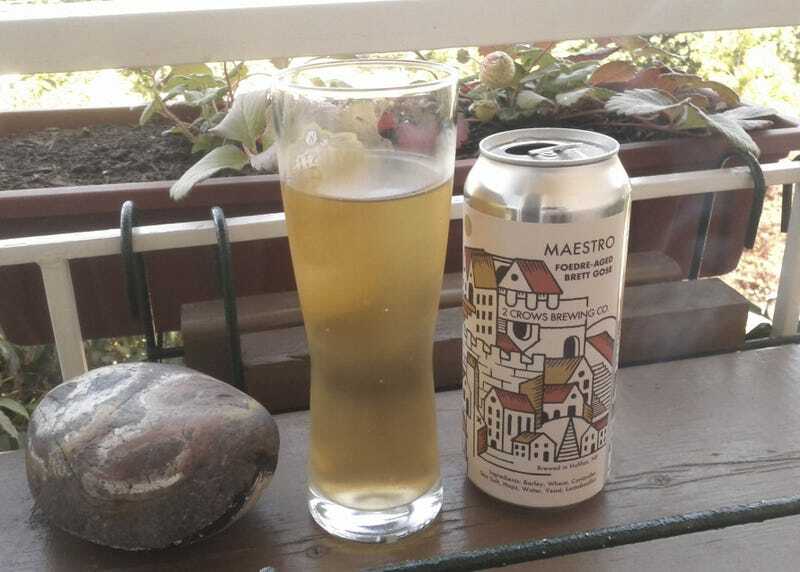 2) Not enough carbonation on the Maestro Gose. Almost none. 3) Wish they would have stuck with the 2 Crows branding on all their beers including seasonals and limited editions. 4) Lactose in some beers. 5) Here, we have to wait until Sept for more.